Kylie Jenner and I Actually Have Something in Common: We Both Became Moms at 20 – Pop. Culture. Blush. Kylie Jenner is officially a mom. Congratulations! Now, I have to admit, Kylie’s dedication video to her new baby girl moved me. It wasn’t merely because it was produced so beautifully, but because it also reminded me of the moment I first became a mother. 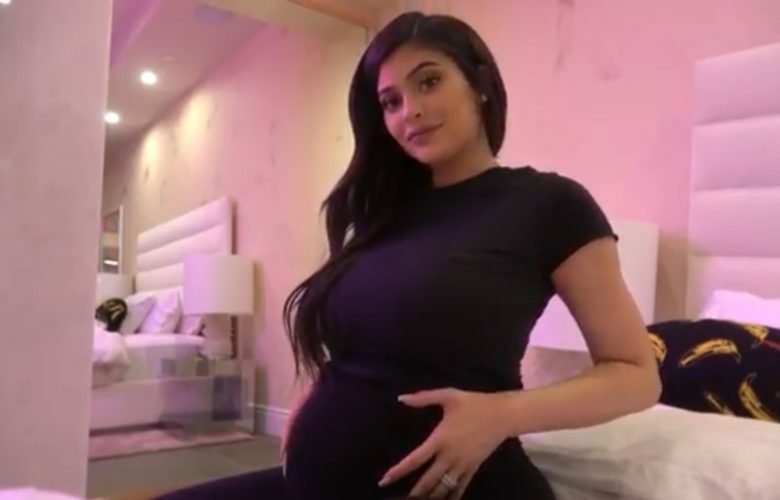 See, I don’t know Kylie at all, aside from what I’ve seen on social media and on TV, but there is one thing we have in common: we both welcomed a child for the first time at the age of 20. I was 19 and just starting out college when I found I was pregnant with my son. I was nowhere near as successful or well-off as Kylie Jenner is today. I didn’t have a cosmetics empire; I didn’t come from a rich family; I didn’t have a steady job; and I still wasn’t quite sure what I wanted to do with my life. To say I was absolutely terrified is an understatement. There were so many thoughts that flowed through my mind. Becoming a young mom was never part of the plan, (as I’m sure it probably wasn’t for Kylie Jenner, either) but there was no way I wasn’t going to have my baby. So I went against everything that everyone said and moved forward with becoming a mom. My mother stopped speaking to me and could barely look at me. My father was disappointed but took it a little easier than my mom. My grandfather refused to speak to me or see me. My grandmother (may she R.I.P. ), on the other hand, was the one who really took my hand and lent me all her support. When my mother stopped talking to me, my grandma assured me that my pregnancy wasn’t a mistake but a blessing, despite my age and how my mom felt at the moment. “She’ll come around and won’t be able to resist that baby once he’s here,” my grandmother told me. I am eternally grateful for my grandmother being there for me the way she was during that time, because when you’re young and pregnant, a support system is so vital. Heck, becoming a mother at any age takes a village, but even more so when you still haven’t even fully lived life. One of the other things I remember that was hard for me to swallow were all the nasty stares people would give me. I would ride the subway to my appointments and people would just look at me up and down in disgust. Others would look at me like they felt so sorry for me. They’d whisper things I couldn’t even believe I was hearing. 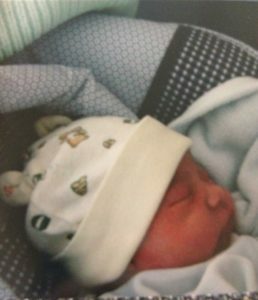 When my son was born in April 2005 (I can’t believe I’ll officially have a teenager this year! ), I was overcome with emotions. I recall crying when they first placed him in my arms. I couldn’t believe I was a mom, and this little precious human was all mine. But I was scared, really scared. Would I be a good mom? Could I give him everything he needs and wants? Reality really struck me in that moment. There were no messages of congratulations after the birth of my baby boy. No one was excited for me. Sure, they all loved my son, but it wasn’t something they wanted for me at the time. My family all showed nothing but concern and worry for me. Understandably so, being a young mom comes with its own laundry list of challenges, but I didn’t need (or want) to constantly be reminded of it. I just wanted someone to make me feel as though things would be okay. While so many expected me to succumb to the challenges, my son actually became a driving force. He became my reason for wanting to strive for the best. He was my everything — and he saved me. I went back to school when my son was 6 weeks old. I was determined to get my degree and make a life for us, without having to rely on anyone else. Plus, I wanted to be someone my son could be proud of and look up to. Despite starting my journey into motherhood a bit earlier than expected, I think I’ve done OK. And Kylie Jenner, I’m sure, you too, will be just fine. Great read! I also became a Mom at twenty. It was a turning point in my life, and all for the better. I can’t lie, I watched the Kylie Jenner video she posted and cried a little from nostalgia. Motherhood is a journey, I wish her the best.